These two players have never met before. Paolo Lorenzi has produced consistent results on clay over the years (429/288), but his current form makes Herbert the slight favorite in this first round clash. Paolo Lorenzi enters Monte Carlo main draw on the back of a first-round defeat at Marrakech last week. In fact, his loss to Mischa Zverev in ATP Marrakech was his fifth straight defeat of the season. Paolo Lorenzi was initially drawn against Filip Krajinovic, but the late withdrawal of the Serbian #2 has put him against a qualifier (Pierre Hughes Herbert) in the first round. 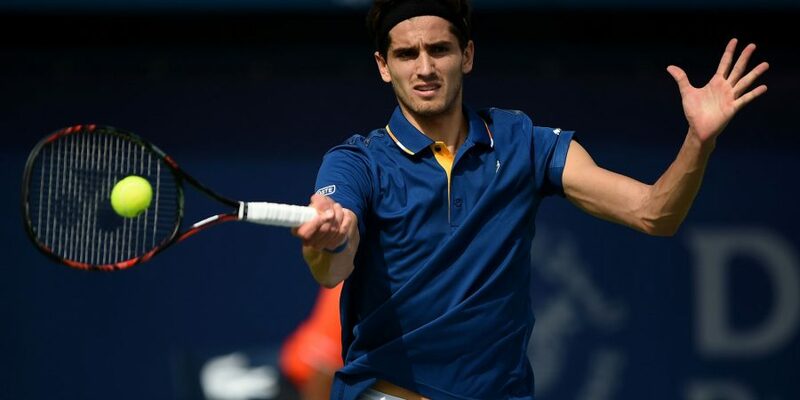 The veteran Italian has previously entered three clay tournaments in 2018 but failed to win a match in any of them, losing to Roberto Carballes Baena at Quito, Austin Krajicek at San Luis Potosi challenger and Mischa Zverev in Marrakech. Paolo Lorenzi ended his 2017 season with nine straight defeats and had started the 2018 season in the similar fashion (2018 W/L- 2/6). The 36-year-old needs to collect some wins under his belt to get his season going. This is Lorenzi’s second consecutive and third overall appearance in Monte Carlo, and he could win only two matches from his previous visits here, against Fabio Fognini in 2016 and Marcel Granollers Pujol in 2017. After edging past an Italian opponent, Stefano Travaglia, in the first qualifying match, Pierre Hughes Herbert secured a comfortable straight set win over Andrej Martin in the following match to secure his main draw berth. The Frenchman has visited Monte Carlo twice in the past and reaching the second round once in 2016 (lost a three-setter to Andy Murray) is his best result in this event. Unlike Lorenzi, Herbert has made a solid start to the season, and he also has a lot of confidence and momentum on his side at the moment. The last time he faced a first-round exit was at the Australian Open earlier this season, since then, he has played 20 matches and managed to win 14 of them (14/6).